Spring Updates and Happy Easter! We had a blizzard on Wednesday that left behind two feet of heavy, wet snow in my neighborhood. Winds reached 45 miles an hour and many areas lost power, including portions of the Denver International Airport which had to close for the first time in ten years due to the weather. 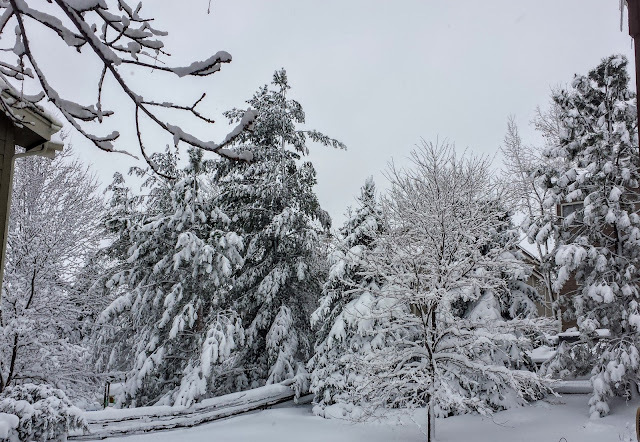 March is traditionally the snowiest month in the Front Range area, so this is not unusual weather here, and we are getting more snow as I write this, and we expect even more next week! It's not all bad, however, as we were having unusually high temperatures in the 60's and even 70's for most of February. It was getting very dry, and the fire danger was high. Our high desert climate needs all the moisture it receives this time of the year to keep the forests and grasses wet and to fill the reservoirs. Plus, the water from snow melt is depended upon by adjoining states, as it also fills their rivers and reservoirs. 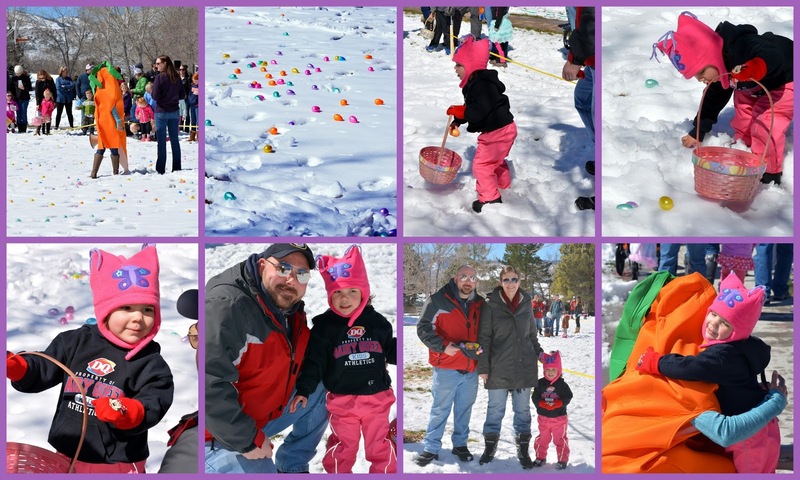 The snow did not prevent our granddaughter from having fun participating in a community Easter Egg Hunt. 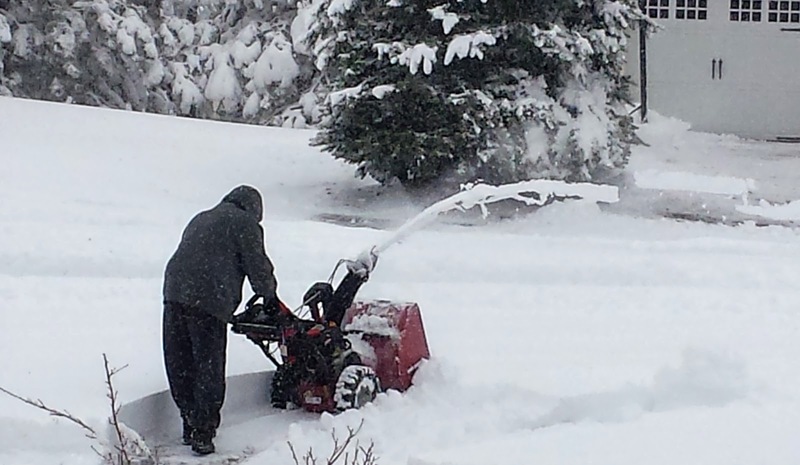 This fun annual event was not going to allow a snow storm to delay the festivities. She was excited to give the hostess of ceremonies, the Easter Bunny's carrot friend, a big hug afterward! 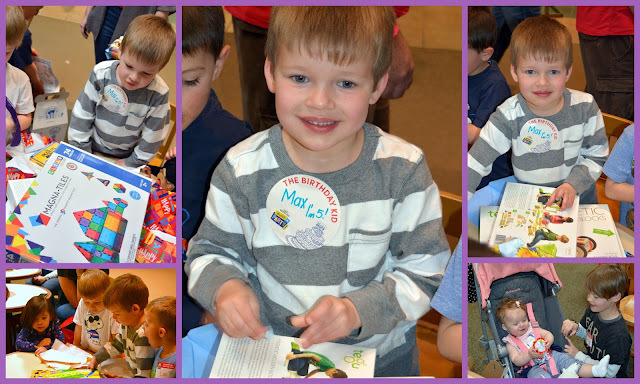 Our middle grandson had a fun 5th birthday party a week early, as he and his older brother and little sister and parents all went to celebrate his actual birthday in Disneyland! It was a very memorable vacation for them all, as the blizzard prevented them from coming home until Saturday. They enjoyed the few extra unexpected days by visiting the San Diego Zoo. 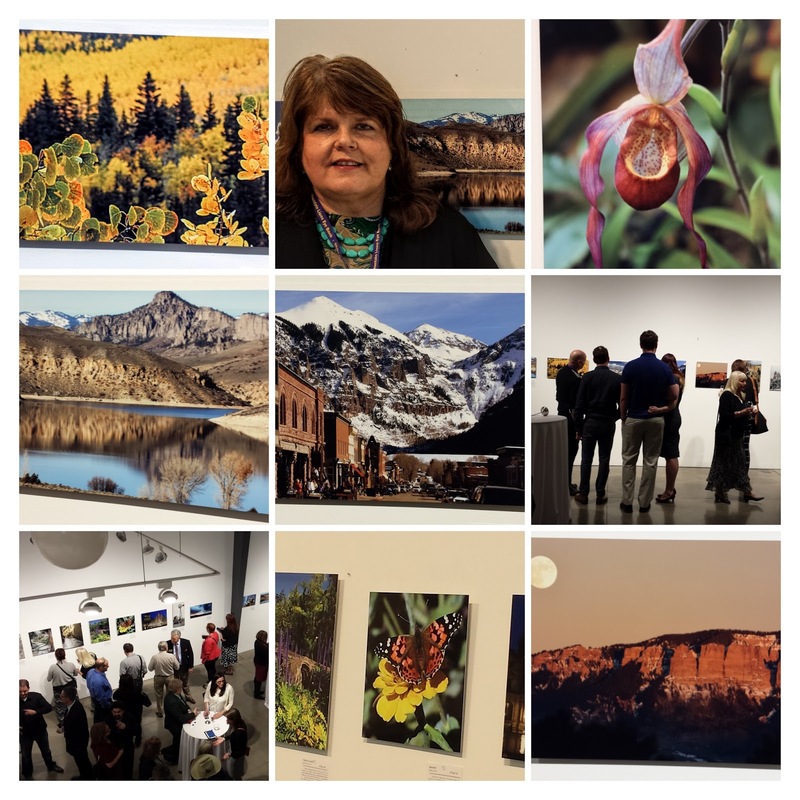 Finally, I was excited and honored to see some of my photography become part of the "Circle of Light" silent auction fundraiser for the Rocky Mountain Lions Eye Bank that took place at the Space Gallery in Denver. All proceeds from the auction are to support the eye bank and its mission to fight blindness. If you remember, I was the recipient of a cornea transplant in my dominant eye in November of 2014. 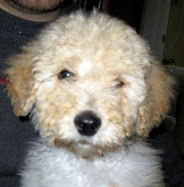 My cornea had been scarred cloudy by a virus. I was blind in that eye, but now, after the transplant, as well as subsequent cataract and glaucoma surgery, I have 20/30 vision! It really is a miracle, and I am forever grateful to my transplant donor. The eye bank asked cornea transplant recipients to submit photographs that they took after their vision was restored, and out of the ten I submitted, six were chosen to be mounted on metal and placed in the auction, along with other recipient's photos. It was exciting to see that one of my photos actually received the highest bid of the evening! Can you guess which one? 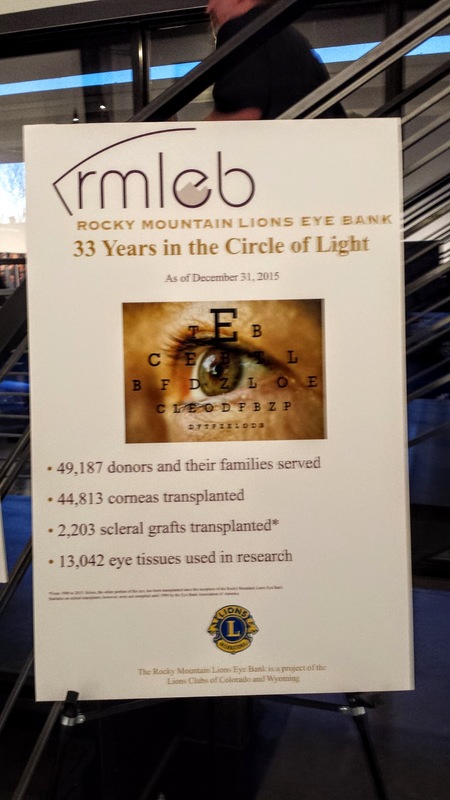 As you can see the Rocky Mountain Lions Eye Bank has restored vision to many over their 33 years of existence. If you would like to learn more about signing up to be an organ donor, and giving the gift of sight, or even life, click here. As I learned at a seminar about donation, giving a part of yourself upon death is ending your life with a comma, and not a period. You can help someone else to see, or survive with a vital organ. 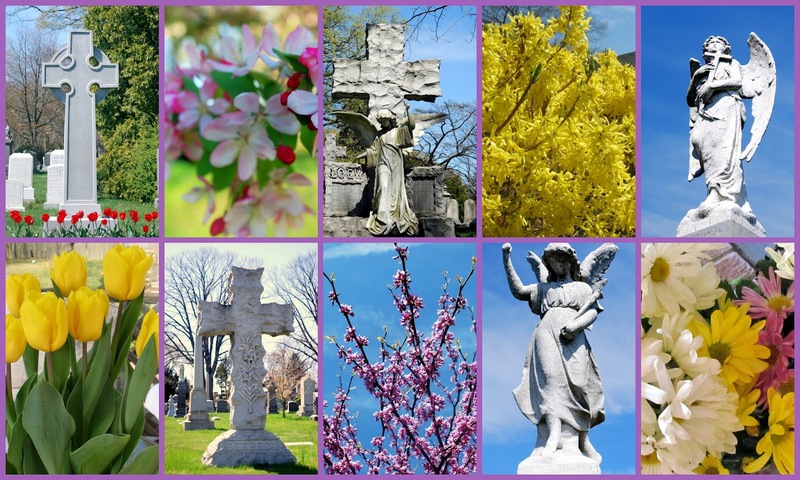 What better way to honor life? When we attended a family wedding in the Phoenix area of Arizona last autumn, my husband and I decided on a free day to take a two hour drive south to Tuscon, Arizona, where Saguaro National Park is located. We had visited this park once before, and wanted to see it again. Saguaro National Park has two districts--East and West-- that are separated by the City of Tucson. It is a 30-45 minutes transit between the two districts depending on the route and traffic but visitors pay only one fee to see both sides. Tucson, Arizona is home to the nation's largest cacti--the giant saguaro--the universal symbol of the American west. 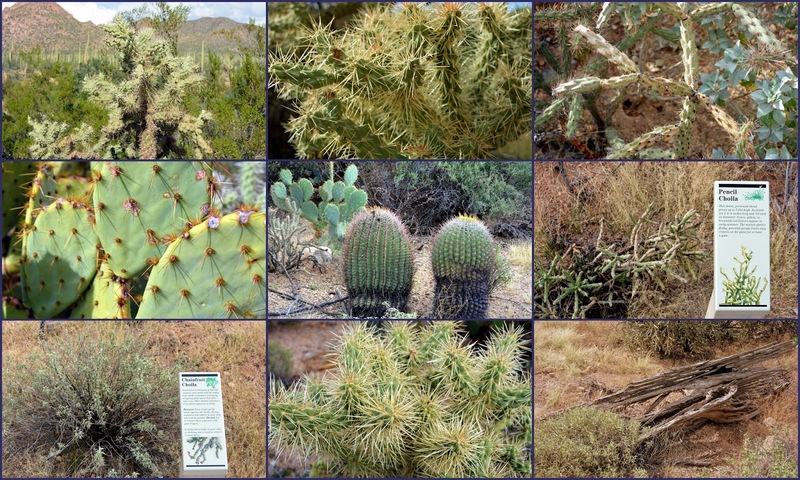 These majestic plants are only found in a small portion of the United States in southern Arizona, and few stray ones in southern California, to western Sonora, Mexico. You can see the size of these ancient cacti by us standing next to them in the photo collage above. Saguaro cacti are very slow growing. A ten year old cactus may only be 1.5 inches tall, but they can grow to be between 40--60 feet tall. 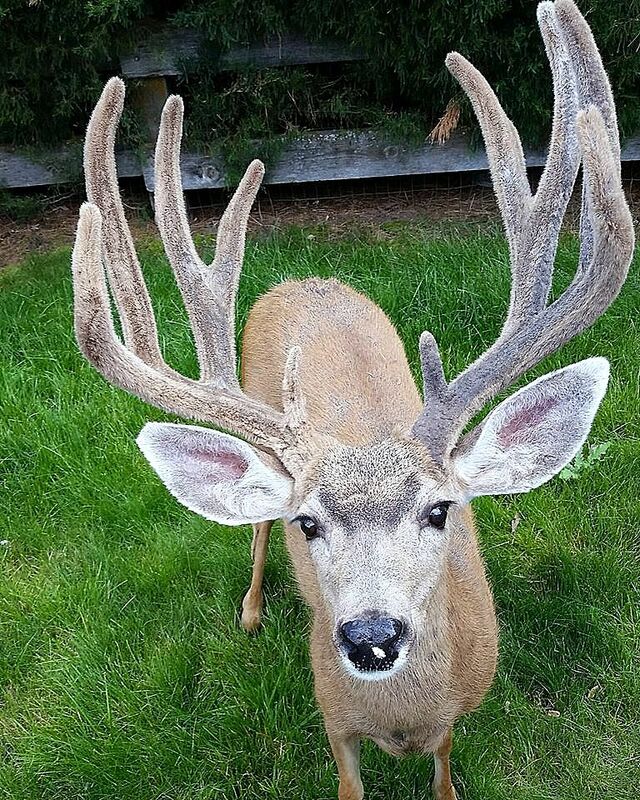 When fully hydrated with rain water it can weigh between 3200 to 4800 pounds. 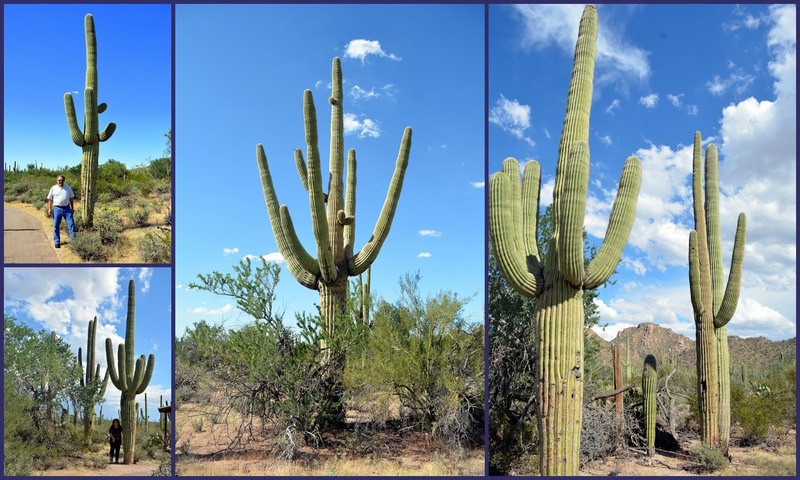 Most saguaro cacti grow "arms" as they age, that can number up over 25, and are covered with protective pointy spines. They flower in late spring and produce fruit in summer. Bats, bird and mammals eat the fruit and distribute the saguaro seeds. In a section of the park we parked our car and walked one of the trails. 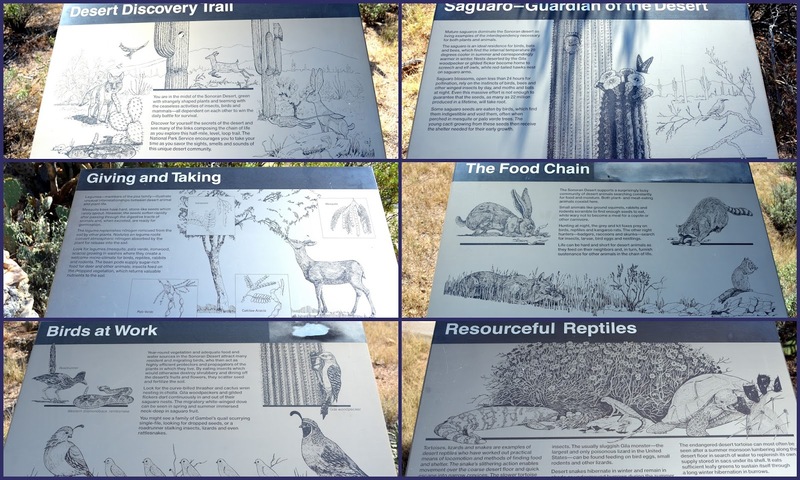 ...and read the educational metal placards along the trail, some of which I show above. Click on to enlarge to read them. 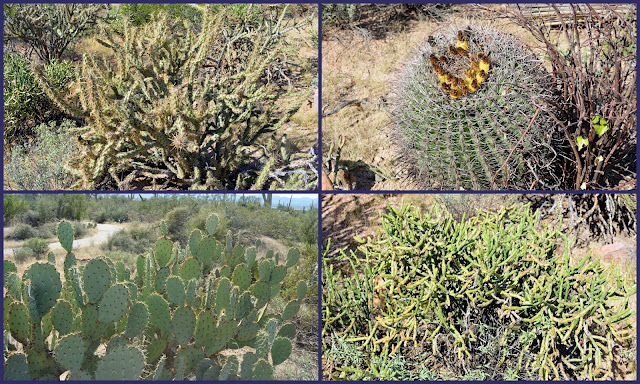 In addition to the saguaro cacti there are many different types of cacti, trees and shrubs in the park. We saw barrel, cholla and prickly pear cacti. There were many beautiful cacti to look at and photograph. It was thrilling to see occasional hawks flying overhead. We stopped in the eastern Visitor Center in the Rincon Mountain District. From its back porch there was a view of a deep "forest" of saguaros! There is an interesting and well done exhibit just outside the center that walks around 15 major plants that live in the Sonoran Desert, with a plaque that contains the name and description of each plant. 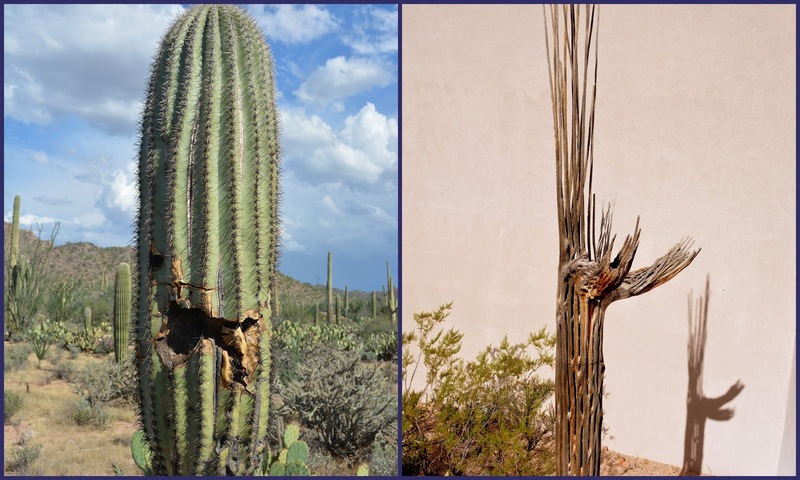 We also saw examples of holes in some of the saguaro that contain holes that nesting birds or Sonoran desert mammals made, as well as the skeletons of dead saguaro. The strong woody ribs of the dead cacti have been used to build roofs, fences, and furniture. 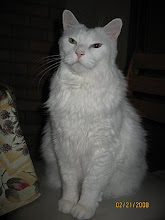 We were enjoying our visit very much until we unfortunately saw the skies begin to darken with heavy clouds. 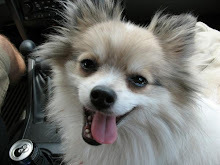 Soon we heard the rumbles of thunder, so we headed back to the safety of our car in case there was lightning. ...we entered the highway where we saw the wind causing a dust storm in the distance. These dust storms, called "haboobs" after the Arabic word for "blasting/drafting," can be very intense and dangerous when they are large and black out the sun, with choking dirt and sand. ...and we were able to drive past it without incident. We headed back to our families that live in suburbs of Phoenix and enjoyed the rest of our visit. In the next post I'll show you our drive through another Arizona National Park --the Petrified Forest. It is an amazing sight you won't want to miss! 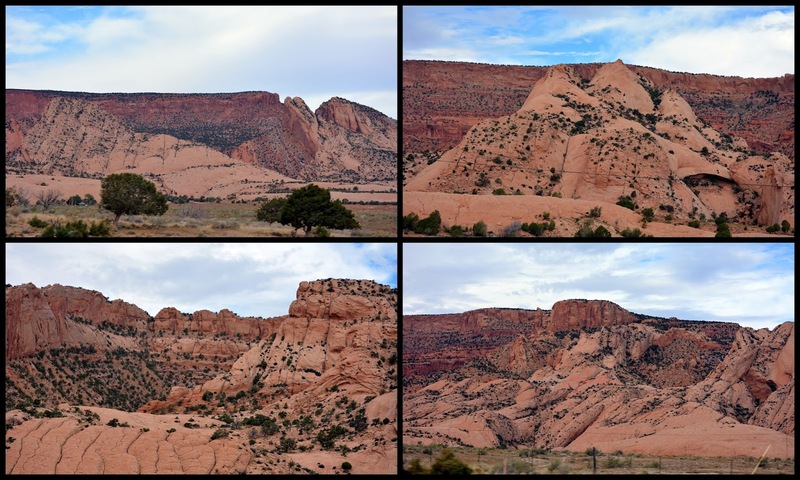 When we left the Four Corners area in the Navajo Nation in Colorado --see last blog post-- we drove on US 160 southwest and entered the Arizona border of Navajo Nation. There is so much to see and do in the entire Navajo Nation --see their tourism site on this link--but we were going to drive straight through, on our way to the Phoenix area, to visit my husband's sister and brother-in-law's home, where we were gathering for a family wedding that would take place the next day. 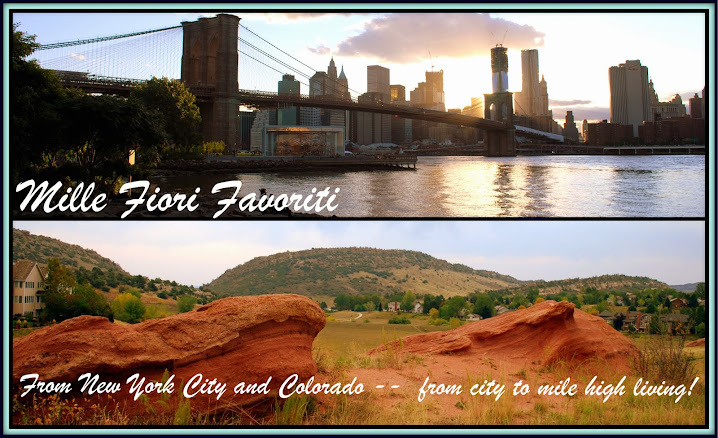 We knew we had many miles of driving before us, but we were excited to see the unique and beautiful scenery in this part of the country, and I kept taking photos as we drove to share with all of you. There were many areas with hoodoo formations. ...and at times up close. The colors of the desert and the shadows and light playing off the natural monuments gave them and other worldly appearance. We were tempted to take a rural road to get closer to the center of this valley, but knew we did not have the time on this trip to do so. In the future we want to take a guided tour of Monument Valley to see more of it up close. In the Navajo creation story they believe they came to their land by emerging through four levels of worlds, to currently reside in the fourth level, the "glittering world." After seeing this spell blindingly beautiful area of Navajo Nation I feel as if I too, passed through a glittering world filled with the Navajo sacred colors. We kept driving and marveling at the changing scenery. 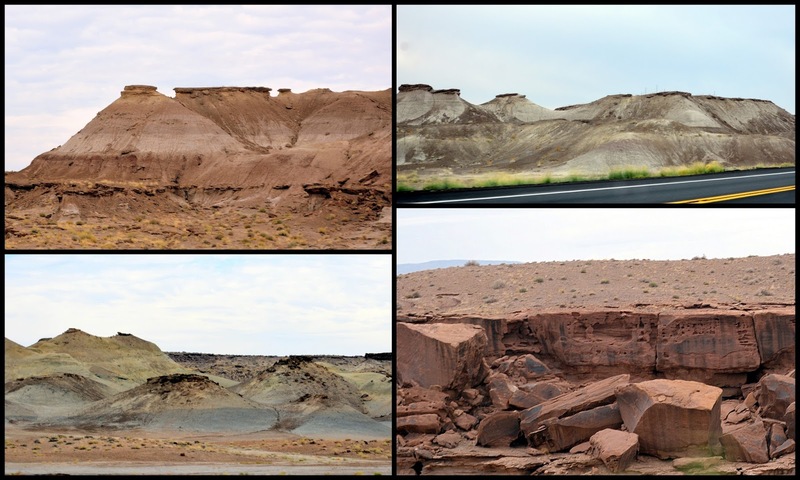 ...until we saw two unusual sandstone formations in the distance near Tonalea, Arizona. These formations are nicknamed "Elephant Feet." It is easy to see how they received that name! 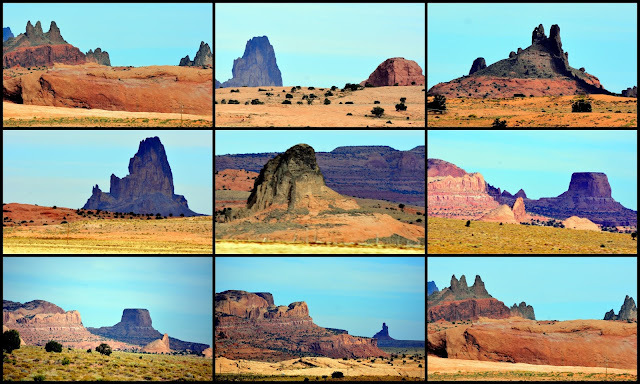 We had driven a little more than two thirds of our route on US 160 through Navajo Nation, towards Tuba City, when I spotted men galloping by on horseback. A good view from a high point on the road of the colorful dessert terrain. We passed by exits that lead towards the Grand Canyon. Again, it was tempting to turn off for awhile to see some of the canyon, but we knew that would take too long and we did not want to drive at night. We had visited the Grand Canyon years ago on a trip to Arizona with our children, but I'd like to go back again one day and see the, less visited North Rim. Again, the colors and formations of the land were other worldly in appearance. We would visit the Painted Desert as part of the Petrified Forest National Park before we return to Colorado on our way home, so I'll show you more of this natural wonder on a future blog post. Another reminder that we were on Native American land was that some houses also had tepee structures next to them. They are most likely used for ceremonial or religious purposes. The Navajo. or Dine, as they call themselves, also used hogans, or mud style huts as shelter. They have been remarkably successful in preserving much of their unique culture, despite the modern day conveniences of an Anglo-American lifestyle. It is estimated that approximately 80% of the population speaks the Navajo language in addition to English. During World War II the Navajo language was used to create a secret code to battle the Japanese. Navajo men were selected to create codes and serve on the front lines in battlefield. These famous Navajo Code talkers exemplified the bravery and patriotism of the Navajo people. Passing the town of Cameron, we were approaching the end of Navajo Nation in Arizona turning onto US 89 south, headed towards Flagstaff. ...and storm clouds began to gather. Soon, we saw ominous mammatus clouds forming overhead. It rained briefly, and then, happily, the sun began to shine again. As we drove south in Arizona we began to see saguaro cacti. These cacti are only found in the Sonoran desert areas of Arizona, and in Sonora, Mexico. We knew we were getting closer to our destination, and happy times ahead visiting with family. 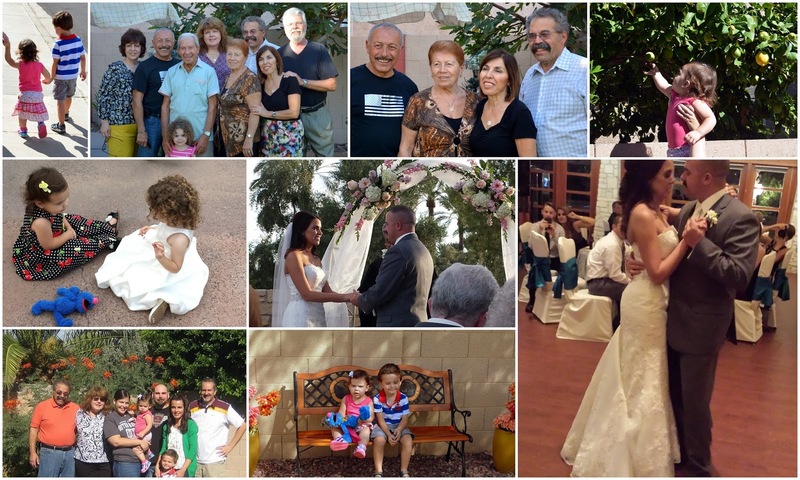 We had a wonderful time seeing my husband's sister and family, and my sister and her family, while in the Phoenix area. Young third cousins met for the first time and had a good time playing together. over our visit. The very best part of the get together was our niece's beautiful wedding! They have already celebrate their first anniversary--how time flies! 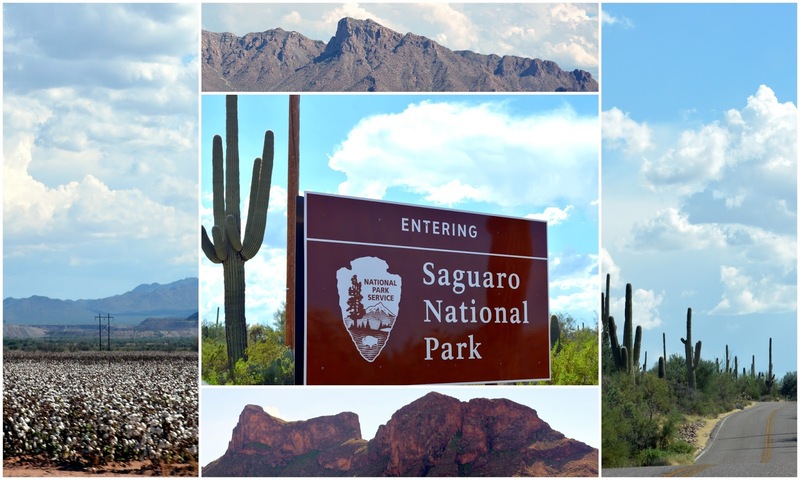 While in Arizona we took the opportunity to visit the Saguaro National Park--come back next time to see that amazing place!